TRP Consulting is working to help create a new multi-million pound world-leading ‘care village’ in the heart of Chester. The state-of-the-art facility is being developed by fast-growing care provider Belong and is the latest in a series of projects our team has been involved in for the not-for-profit organisation which is based in Nantwich, Cheshire. Belong Chester, on City Road, will provide world-leading dementia care as well as a range of amenities for the wider community. 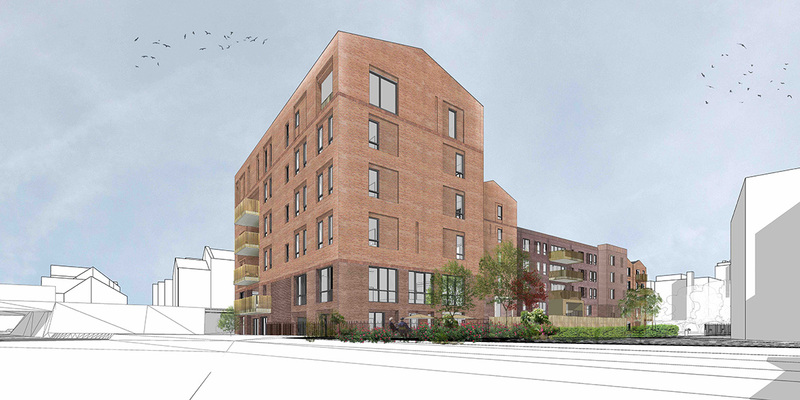 The new development, which recently received planning permission, will incorporate six households, with 72 suites and three guest bedrooms in total, along with 23 one-and two-bedroom apartments for independent living. Its village centre will host a hub of facilities including a gym, a bistro, a hair salon and therapy rooms, which are open to members of the wider community. Outreach services will include home care and a specialist day-care service known as ‘Experience Days’. It is the latest in a growing list of Belong care village projects across the UK that TRP Consulting has helped deliver – bringing its structural and civil engineering knowledge and expertise to the design and construction teams. They include Belong Birkdale, a village being created near the famous Open golf course on the Lancashire coast. The new Birkdale village, near Southport, will provide accommodation for more than 100 people, with 30 one and two bedroom independent living apartments and six households where, like Chester, 24-hour support, including nursing and dementia care, will be provided. We have also worked to deliver Belong Warrington and were involved in the development of the organisation’s newly-opened Didsbury facility. We are also working on a number of other Belong projects across the country. The Chester development is Belong’s first city centre project. Construction work on it and Birkdale is set to start later this year, with a 2019 opening planned for both. These latest planned care villages in Belong’s portfolio have been designed Altrincham-based architects Pozzoni. TRP Consulting director Geoff Wilks said: “We have a long and successful relationship with Belong, working on state-of-the-art care facilities and accommodation in communities across the UK and these developments are the latest chapters in the organisation’s impressive and continuing growth story. Belong is a not-for-profit organisation with more than 20 years’ experience in providing outstanding care – any surplus money is reinvested into its award winning services, people and facilities. The Chester project is set to create 140 new jobs, including support workers, nurses and catering staff.